Two governors recognized Gary P. Nunn as an ambassador of music for the state. DALLAS — There’s not much of this state that Gary P. Nunn hasn’t seen or sung about. After almost a half century of performing, Nunn, 73, told WFAA he will retire at the end of next year. Nunn recently invited WFAA to look back at his career and some of his most popular songs. “Well, I’d have to say What I Like About Texas is one of my very favorites. Of course, I like Last Thing I Needed because it’s been so successful,” he added. Another song, perhaps just as popular, is London Homesick Blues that many people might know better as “Home with the Armadillo” because of a line in the chorus. Gary P. Nunn backstage at Lil' Red Longhorn Saloon in Fort Worth recently. Lyrics always came easy for Gary. Take London, for example, in 1973 when he was touring there with Michael Martin Murphey. It was a piece that he never thought would amount to much. “I never did. It was just an exercise in writing a song. It certainly didn’t sound like a country song,” Nunn said. Austin City Limits used “Home with the Armadillo” as its theme song for years. And today, 46 years after he penned it in a chilly London flat, crowds still come to their feet for his so-called exercise in songwriting. But one of Nunn’s most successful songs is one that Willie Nelson recorded in 1982. Last Thing I Needed, First Thing This Morning was a hit in 1982 and singer Chris Stapleton just re-recorded. 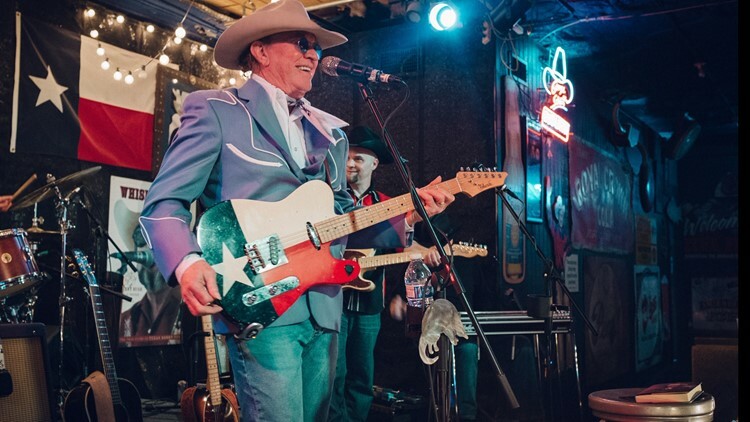 Nunn said he never sought stardom that propelled contemporaries like Willie Nelson, Michael Martin Murphey and Jerry Jeff Walker to fame, but anyone who has swirled a beer in a Texas saloon since the 1970s has likely heard Gary P. Nunn’s music. It’s progressive country, a mixture of country and folk, blues and rock. And he said he draws songwriting inspiration from a simple place. 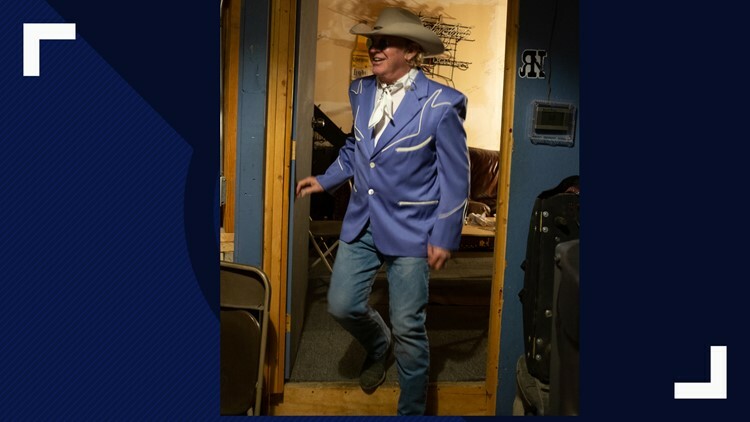 Gary P. Nunn walking out of a dressing room at Lil' Red Longhorn Saloon in Fort Worth recently. “I listen to what people say," he said. "A lot of times if you just listen to what people say, you’d be a great songwriter." Despite plans to retire, Nunn said he still enjoys writing songs. “I’ve got tons of stuff in my books that all I have to do is just focus on it,” he said. They’re not completed songs, just notes, thoughts and morsels of potential music to motivate him. “I write in journals and I just take notes," he said. "I hear colorful lines. I hear sayings that strike my ear – and say that would be a good title for a song. I’ve got file cabinets full of them that go back to the ‘70s." His best songwriting, he said, happened in the Lost Gonzo Band Days back in the 1970s. In the years since, Nunn has written and recorded 54 songs; most all of them about Texas pride, its people and places. Two governors recognized him as an ambassador of music for the state. “When we started out playing in sixth grade, there were hardly any vocals in rock and roll songs,” Nunn said. He grew up in Oklahoma, played basketball, loved baseball and learned the piano. His father, a school superintendent, encouraged him to learn different instruments but apparently never thought his son could make a living off of music. “He said, 'I just want you to be able to play and sing so when we have our family reunion you can play for the kinfolks,'" Nunn said. As straight-A student, Nunn later enrolled at the University of Texas in Austin and decided to pursue pharmacy in the 1960s. Gary was one of the founders of Austin’s live music scene, helping Austin earn its edge in the early 1970s. Gary P. Nunn performed at Lil' Red Longhorn Saloon in Fort Worth recently. He put bands together for up-and-comers like Willie Nelson, Michael Martin Murphey and Jerry Jeff Walker. But Nunn struggled in the 1980s and 1990s without getting a lot of radio airplay nor interest from record labels. “We weren’t making any money," he said. "We’d drive to Lubbock for $150 in a little Chevrolet pickup truck. I always felt like as long as I just didn’t go under, that I was still in the game. Like Leonard Cohen told me one time, success is survival." Though he always had a knack for finding a tune, Gary P. Nunn is more than a performer. He's also a publisher. And those young songwriters make up a lot of the music that he listens to these days. “I have the publishing company and I make copies of songs that strike my ear as they come in," Nunn said. "I’ll dump them off on a CD – about 20 songs – and when I’m traveling that’s what I listen to." “I get a kick out of performing. I really do. I still love to perform and get the good audience reaction." So, is he really ready to retire? “Sorta, kinda. Not really,” he said laughing. Nunn said he looks forward to spending weekends with his wife, rather than on the road. “I’ve enjoyed a good deal of success," he said. "I have a reputation and respect from people in the industry and as far as I know they all think well of me. It’s very gratifying at this point in my life to know hopefully it’s a life well spent." 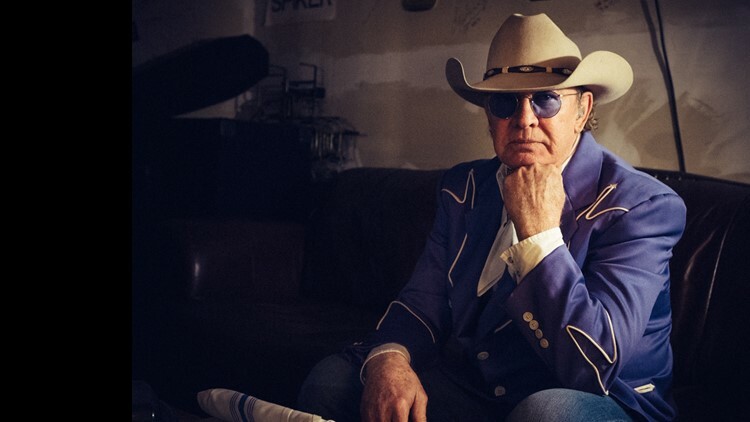 His retirement winds down a half century of songs that helped define Texas music, leaving a legacy in lyrics to the state he loves.